So, it's FRIDAY, and, as promised, I'm wrapping-up the vacay posts. I think I saved the best for last. 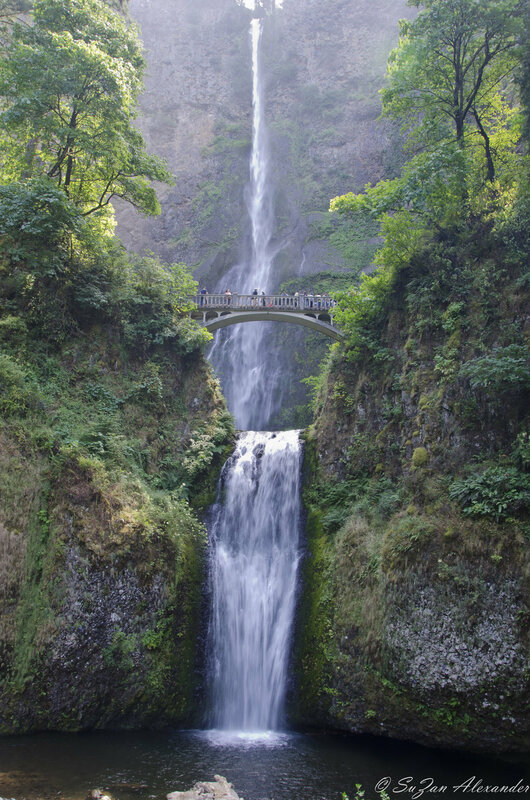 On Tuesday, we visited Bridal Veil and Multnomah Falls waterfalls on the Columbia River Gorge. There's really not much to say, other than; enjoy the photos - and, quoting the Friday night news sign-off of the late Marvin Zindler, "Have a good weekend - good golf, good tennis, or whatever makes you happy."